Of all the improvements you can make to beautify and add value to your home, nothing is more cost-effective or makes a bigger impact than a fresh coat of paint. Whether you’re looking to put your house on the market or you’d simply like a fresh new look, our experienced painters will make sure the job gets done quickly, professionally and with minimal disruption to your daily routine. No matter what type of home you have, ABF Remodeling can make it look its best. From prep to clean-up, our courteous and talented painters work with you to make your experience a positive one. Unlike many painters, we carefully protect your plants and trees to keep your home’s exterior looking its best. Our exterior painting team provides you with daily updates, asks questions when needed and is happy to talk with you about any concerns. Every painter follows our documented process for completing your painting. Pressure Washing: Pressure wash or hand wash the area to be painted. 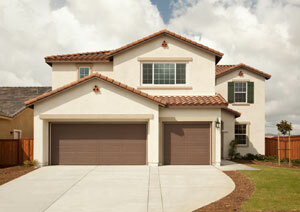 Pressure washing removes dirt and debris to ensure new paint adheres properly. Exterior Painting Preparation: We scrape away any peeling paint from your exterior. We then sand, prime, caulk and patch areas that need it to ensure even coating and weatherize the exterior. 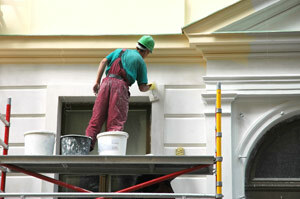 With the proper preparation techniques, exterior paint can last twice as long when done correctly. Exterior Painting: We use top quality paint with low or no Volatile Organic Compounds (VOC) paint to protect your family, pets and landscape. Most projects are painted with two coats of paint. Comprehensive Clean Up: We clean the working area daily, and when the work is complete, we have a “leave no trace” policy to leave the propoerty as good or better than when we began the project. Final Inspection: Our project manager performs a walk through inspection with each client at the completion of the job to confirm that work was as promised. Call us today at 281-855-3400 or fill out the information below and one of our skilled exterior paint technicians will contact you as soon as possible.